Dubai has been named the 10th best place to visit worldwide and the best destination in the Middle East and North Africa, in a new report published in the United States. The global study, compiled by the US News and World Report, collated feedback from the public and travel experts to rank destinations based on factors including the quality of tourism attractions and activities, culture, adventure, food and nightlife. The survey included feedback on more than 300 popular destinations worldwide. Dubai ranked ahead of iconic tourism hotspots including Phuket, Thailand, Australia’s Great Barrier Reef, Machu Picchu in Peru and America’s Grand Canyon. Rome was named the world’s top tourism destination, followed by Sydney, Porto, London, Paris, New York, Florence, Prague and Barcelona, with Dubai rounding out the top 10. 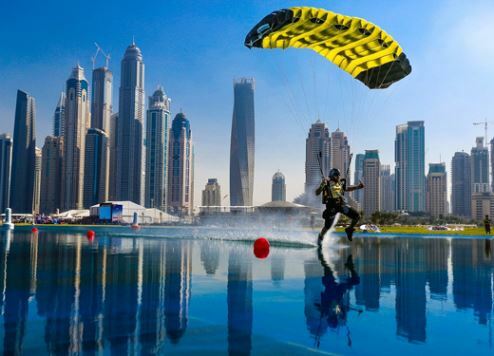 In praising Dubai, the report cited the city’s mega attractions, pristine beaches, and adrenalin-fuelled activities. “This Middle Eastern city is filled with one-of-a-kind attractions, including the Dubai Mall – one of the world’s largest shopping centres – and the indoor Ski Dubai,” the report stated. The report also highlighted the quality of Dubai’s tourism infrastructure, including its luxury five-star resort accommodation, brand new world-class theme parks including Dubai Parks and Resorts, and shopping and recreational activities. Dubai welcomed more than 6 million visitors in the first four months of 2017, up from 5.35 million a year earlier. This increase in visitors saw the average hotel occupancy rate for the period rise to 87%, up from 84% in 2016, with 10.63 million occupied room nights reported, up from 9.87 million. The emirate is well on track to reach its target of 20 million visitors by 2020; the year it hosts the World Expo for the first time.